Hesperoyucca whipplei (Yucca whipplei) is a dramatic, but dangerous addition to the dry garden. 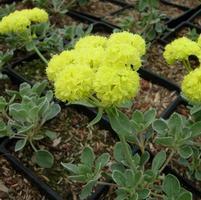 It forms a rosette of silvery-gray foliage aout 3-4' across and tall, but watch out for the sharp-tipped leaves! This is not a plant for homes with young children, nor is it particularly pet-friendly. It does make a good burglar deterrent though! 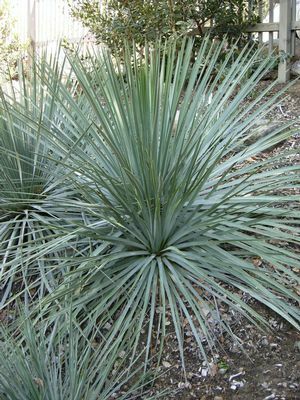 Hesperoyucca whipplei (Yucca whipplei) is a dramatic, but dangerous addition to the dry garden. 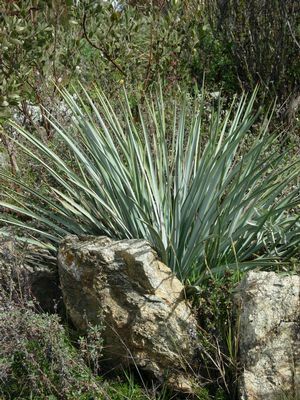 It forms an eye-catching rosette of silvery-gray foliage aout 3-4' across and tall, but watch out for the sharp-tipped leaves! This is not a plant for homes with young children, nor is it particularly pet-friendly. It does make a good burglar deterrent though! Our Lord's candle can take anywhere from three to fifteen years or more to flower; typically the older the plant, the more spectacular the flower. Young plants produce flowering stalks that are around 6' tall while the spikes of older plants may reach heights of 15-20'. When the plant eventually blooms, it's really dramatic! Masses of creamy-white, bell-shaped flowers bloom along the stem and are particularly striking at night in the moonlight. 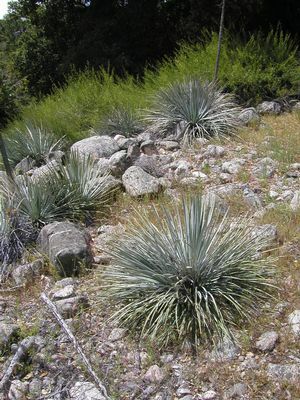 Native to California where its natural habitat and range are slopes in chaparral and coastal scrub below 8,000 feet in southern Sierra Nevada and South Coast Ranges from Monterey and San Benito Counties south to northwestern Baja California.